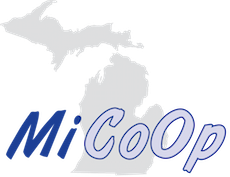 This webinar was created for the Michigan CoOp. We had the wonderful opportunity to speak with Ed Hidalgo, Chief of Innovation & Engagement Officer from the Cajon Valley Union School District in El Cajon, California. The World of Work initiative was created to inspire the future workforce with hands-on learning experiences. By pairing students with working professionals in a number of different professions, students are granted a peek into what their future dream job might be. This allows students to better understand the potential applications of what they are learning in the classroom.